VyprVPN, being an excellent service provider with a great network performance, has one of the largest and diversified server selection and offers a smart quality to price ratio. VyprVPN claims to own a protocol Chameleon that can break the great firewall of China. 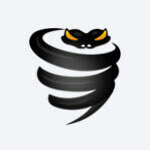 It has self managed network of 700+ servers that offers 200,000+ dynamic IPs. VyprVPN is one of the most expensive VPN in the industry with no-money back guarantee. They do not offer BitCoin as the payment option and there is no support for P2P file sharing. You will also get very limited number of protocols to use on different devices. The parent company is a US based IT firm and therefore they keep logs of customers for 30 days. The best thing about VyperVPN is itself-owned and self-managed network which makes it completely secure and allows ultra-fast speed. VyprVPN’s commitment to online privacy and security is evident by the number of advanced protocol options it provides to the customers. However, when it comes to the price tag, VyprVPN is expensive. VyprVPN is a subsidiary of a giant global internet provider called Golden Frog – one of the oldest, most significant, and most important ISP providers. It was founded in 2010 with the aim of making the internet a free and open space for all. In this regard, they chose the perfect headquarter; Switzerland where internet laws are quite favorable and have established a legal framework to protect it. Since their primary concern was privacy, Vypr decided to manage its network as this means additional security for the customers. VyprVPN owns over 700 VPN servers spread across the world. They have more than 200,000 IP addresses. 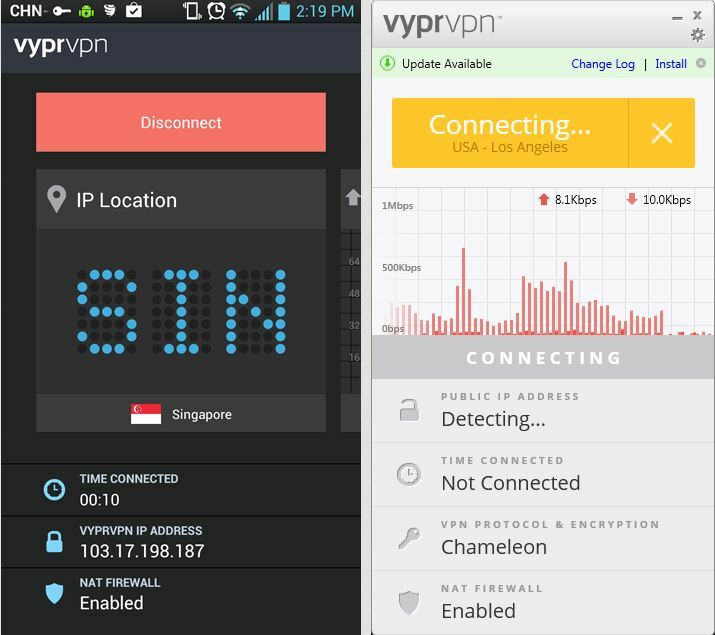 VyprVPN offers a Chameleon protocol that claims to break the great Firewall of China. However, VyprVPN comes at a hefty cost per month. Every VPN balances tradeoffs between security and speed and/or between features and cost. And all the VPN fights the battle for what matters – for me, Trust. Keep reading to find all the major advantages that VyprVPN offers. VyprVPN has a large network of 700+ VPN servers spread across North America, South America, Europe, Asia, Africa, and Oceania. It offers 200,000 IP addresses from more than 64 countries listed on its website. Usually, VPN service providers don’t manage their servers and hire a third party thus increasing the risk of data leakage or theft. With VyprVPN, you can enjoy the peace of mind as it manages and maintains its servers. You give your data to Vypr, and it stays with Vypr. This also means better speed. However, there is no way to find out whether Vypr’s claim about self-managed servers is valid or not. VyprVPN owns and exercises 100% control on their entire network of servers as the VPN provider is distrustful of third parties as they pose a risk to consumer privacy. Although owning 100% of the network protects your privacy better but there are some drawbacks as far as server locations are concerned. VyprVPN has a good lineup of servers, but they have confirmed that they can’t have physical servers in some countries that don’t meet their standards. In such cases, server locations may not line up with the server’s actual location. They called those servers “virtual server locations”. Though this is not something unusual in the VPN industry. But virtual server can be a threat to your online privacy as well as offers slower speed compare to Physical server. Does VyprVPN offers Unlimited Bandwidth? Users run after bandwidth, as they usually subscribe to a VPN without checking the bandwidth potential and end up being miserable when they hit their bandwidth limit in the first ten days of their subscription. With VyprVPN, you don’t have to worry about the limits or caps as it offers unlimited bandwidth on all pricing packages. You can just download, stream, play games online or do whatever without worrying about bandwidth. Vypr is your next door buddy if you love long binge-watching sessions every other day. Relying on third-party DNS means logging your DNS requests, which share your browsing history. Since VyprVPN provides their secure DNS resolvers, called VyprDNS. This built-in DNS offers online privacy with worldwide assistance in the fight against censorships. This DNS protects your virtual presence from cyber attacks and DNS filtering. One thing is sure with this VPN that your browsing details are not being snooped – no more DNS vulnerabilities. VPN log policy should always merit a closer look. VyprVPN maintains connection logs for 30 days only. The reason is purely technical, at least that’s what the official version says. To be honest, the straightforwardness of VyprVPN logging policy is appreciated because we have stumbled upon so many VPN providers who swear to keep no logs officially but maintain records of user information without their knowledge. Keep one thing in mind that Golden Frog, the parent company, is based in the US. The extremely invasive internet laws in the US can force any company to submit user information. You should take the decision based on these facts about VyprVPN logging policy and obligations. How Many Simultaneous Connections Will I Get With VyprVPN? VyprVPN is indeed a winner of hearts as it offers five simultaneous multi logins. It is great for personal use as it can cover all your devices. In fact, five simultaneous connections mean; a family VPN. However, there is a slight drill here. VyprVPN offers two different packages with different price tags and features. The basic package only has three simultaneous connections, and the premier package provides five multi logins at the same time. Regardless to say, VyprVPN’s premier package is the most expensive one with the most advanced features. Note: Want to use a VPN on multiple devices? Let me share a secret. One of the most commonly practiced trick to use a VPN on many devices, without exceeding your connection limits, is to use a VPN on a router. Yes, VPN on a router, the router would consider one device, and all the router-connected device will share the benefits of connected VPN. We used VyprVPN on an Asus router, and that worked well, so next time when you throw a party at your home, don’t forget to share protective perks with your friends with a VyprVPN. To ease the installation and setup process, VyprVPN offers a router app that helps you to select the type of your network connection – either via VPN or regular connection, that is connecting all the devices. With VyprVPN router app, you can switch between protocols and can also enjoy different servers on different platform simultaneously and don’t forget your DNS requests are adequately protected. There are various VPN routers available in the market, but only a best VPN router can provide you feasibility and security at same time. VyprVPN is not the first VPN to offer internet kill switch, but it is an important feature. The idea is simple if you are online and suddenly your VPN connection stops for any reason, you are in danger of being exposed to your ISP or any other authority. This sudden breakage in the connection may lead to the exact situation for which you subscribed to a VPN. So to avoid that, a feature called internet kill switch has been introduced, which shut down your online activity as soon as the VPN disconnects. 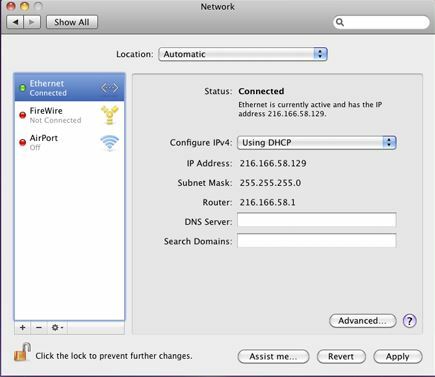 NAT Firewall is another very crucial feature in a VPN. Usually, people don’t dig such nitty-gritty details before signing up for a VPN and trust their service provider to stay true to their privacy and security commitment. NAT Firewall means open and free internet. NAT Firewall acts as a wall between you and malware and hackers who are always looking for ways to enter an unsecured connection and steal personal and confidential data. NAT Firewall makes sure that your connection has no door or window left open for exploitation. This feature lets you use the public WiFi securely, as they are more prone to cyber attacks. The chameleon protocol allows you to use a VPN in stealth mode – your VPN won’t be detected in those regions where using a VPN is banned or even when your university has a firewall that censors your internet usage. Chameleon is a perfect solution for countries which experience speed issues due to throttling. It offers a fast, lightweight internet exploration ability in a “truly open and uncensored” manner. Resultantly, with chameleon, you can bypass legal restrictions and limitations, without compromising on your security. The not-so-good part is that this feature is only available to premium users and compatible with Windows, Mac, Android and a router. Furthermore, the company has their zero-knowledge DNS that can only be accessible to their users. Golden Frog uses Cypher-secure, encrypted messaging – this feature offered to all users who sign up for VyprVPN, so if you are well-concerned about anonymity and privacy, then Vypr is the best VPN. Like all the top-rated VPNs, VyprVPN offers apps for a large number of devices, to review we tested VyprVPN on different applications with windows, Android and Mac OS. everything worked well without any problem to report. Other than these apps, VyprVPN also supports following platforms directly. Keep the pricing plan into consideration as your number of connections varies with the type of pricing plans. To figure out friendliness of VyprVPN apps, we tested the performance of Vypr apps on different platforms; Windows, Mac, iOS, Android and other. Our overall impression is positive as we didn’t identify any problems with crashing, freezing-up or leaking IP. Let’s dive into the details. Before moving further, first have a look at the windows version of VyprVPN. VyprVPN for Windows is a viable VPN option. It has an amazing client that’s easy to install and use. 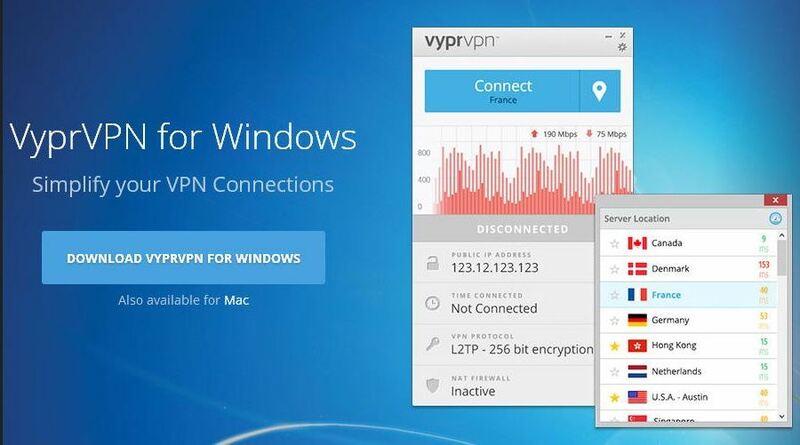 It has a dedicated section on its website for VyprVPN for Windows. You can find all necessary details there like software, exclusive support, windows changelog, and other information. Vypr is compatible with Windows Vista and higher versions. While using Vypr Windows, you can use ‘Kill Switch’ – to block the web traffic in case VPN connection drops and ‘Block malicious Sites’ – filters/blocks a domain lists that are known to spread malware. Every mobile user want a VPN that perform well on their respective smartphones. 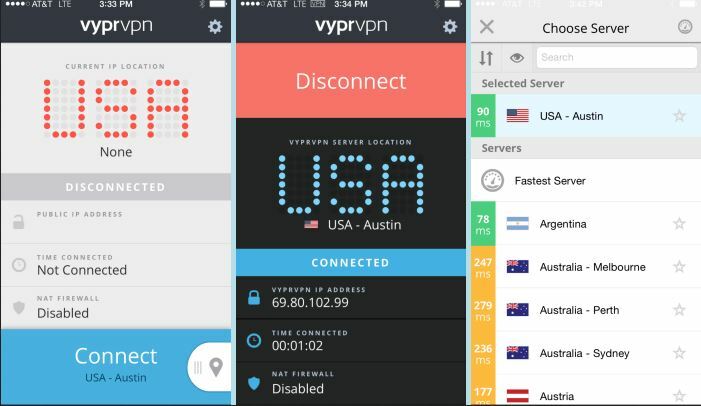 VyprVPN offers both an Android and iOS app. Let’s look at the iOS mobile interface of VyprVPN. VyprVPN for iOS offers only IPsec protocol. It is compatible with iOS 8 and higher. Vypr iOS section is filled with multiple goodies for the users. You can check iOS support and changelog. Vypr iOS app is a perfect amalgamation of design and usability. We have used it and found it very convenient. VyprVPN for Android is compatible with Android 4.0 and higher. Only OpenVPN and Chameleon protocols are available for Android devices. The app is available on Google Play. You can catch Vypr exclusive support for Android on its website. Also, you can see a comprehensive log of each change or update on Android app. The best thing about Android client is the ability to route apps selectively on your device via VPN on a per-app basis. VyprVPN for Mac comes with L2TP/IPsec, OpenVPN (160-bit and 256-bit), and Chameleon. It is compatible with OSX 10.9 and higher. Mac also has a dedicated support page on Vypr’s official website and contains a changelog of each minor update that has happened over the course of time. In addition to the above mentioned OS, Vypr is compatible with QNAP, Blackphone, internet-enabled TV, Anonabox, Linux, DD-WRT, OpenWRT, ASUSWRT, Boxee, Synology NAS, and Blackberry. Vypr’s official website has support material for all these operating systems as well. You can access instruction manuals, FAQs, guides and other support information. VyprVPN is relatively the best and easier choice if you are looking for a smart, leak-proof and secure VPN app to protect your smart screens. 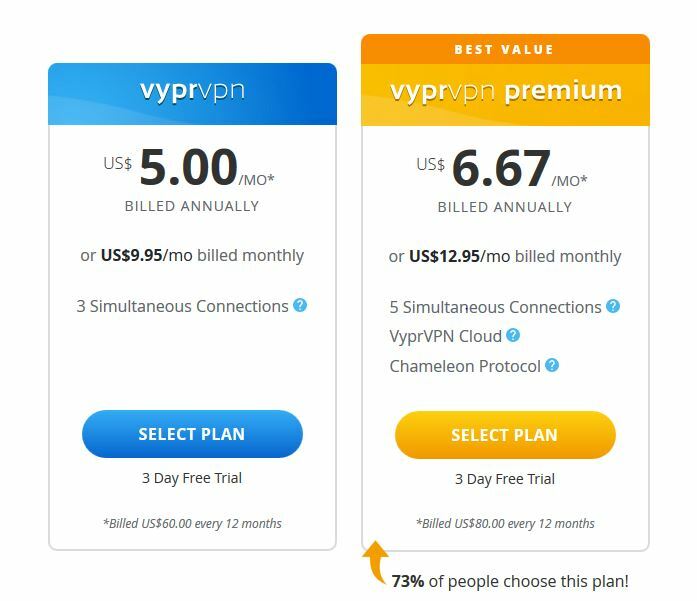 Price varies with quality standards, VyprVPN charges relatively higher price then that of competitor – especially when you divide the ratio of price to number of connection; price/connection. VyprVPN offers two-tier with different price points. Unfortunately, VyprVPN offers no money back guarantee. You are spending your money on your own risk on this VPN service provider because even if you don’t like the service, Vypr will not give you anything back except its sincere consolations. Does VyprVPN offer any free trial? Yes, VyprVPN offers 3-day free trial, but it is not the usual free trial offer. You have to submit your payment information to avail this feature. Also, three days are not enough in any way to assess the VPN services and take the permanent buying decision. While the face value of VyprVPN is just fine when considering their valuable support and performance but might be expensive for someone looking for multiple connections for their devices. VyprVPN offers a business option with two versions; regular and cloud, suiting different needs. This option is relatively expensive then the personal plans but ideal for entrepreneurs, journalists, remote workers and employees on the go; it allows your teams to access multiple servers and even works in clouds. When we are paying more for a service, the easy and quick addressability on our queries in real time is just like a lifeguard. VyprVPN vows to be available 24/7 Customer Support to assist its valuable customers with any technical or general query. They offer a comprehensive support center on its website, 24/7 live chat, FAQs and email support. You find almost all the interactions positive; transparency on public forums means they take customer support seriously. My overall experience was helpful and user-friendly. FAQs are an important part of customer support section. They must be present and provide valuable and relevant information. VyprVPN FAQs are on point, and they have been categorized smartly to serve the customers quickly. Vypr’s FAQ section is divided into the general query, account information, mobile devices, desktop, NAS and routers, and servers. Email support can be reached by filling a form with a few questions. You have to choose a product/service, OS, nature of request and then explain the problem or question in detail before submitting. Vypr suggests adding support@goldenfrog.com in your address book or fixing your spam filters so you can receive the response in your inbox directly. There is a live chat support too. You can see the chat window on the bottom left area of your screen. The idea is to assist you then and there. You can send the message and hopefully a representative will get back to you. Well, that usually doesn’t happen. An automatic message will be delivered asking you to contact the support desk by emailing since there is no one available. Query submission is easy – fill in your credentials and connect to a live chat representative, within few seconds i got a helpful reply of my inquiry. I was given contact details for further communication. VyprVPN is based in Switzerland where the users are protected by Swiss Federal Data Protection Act (DPA) and the Swiss Federal Data Protection Ordinance (DPO). These laws even make Vypr immune from Europe’s data retention laws. So when VyprVPN says it keeps no usage logs, you have no reason to doubt it. However, there is a slight twist here. VyprVPN’s parent company, Golden Frog, is based in US. Under USA’s FISA and Patriot Act, any company can be forced to hand over user information even if the data is stored in a foreign country. Adding to the fact that Vypr maintains connection logs for 30 days and offers no anonymous payment option, this information is troubling. From encryption point-of-view, you are protected as VyprVPN offers OpenVPN, L2TP/IPsec, PPTP, and Chameleon protocols. OpenVPN and Chameleon use 256-bit AES encryption and are recommended by us. However, Chameleon takes the lead as it masks VPN traffic and bypasses deep packet inspection (DPI). A new feature called VyprVPN Cloud – easy-to-use, highly secure server deployment solution, added one more layer of protection while accessing public or private clouds. Also, VyprVPN offers NAT Firewall which is an added protective layer to tackle the unwanted inbound traffic. The mother of all issues is that Vypr is anti-P2P file sharing and torrenting. So, folks who are looking to download stuff using torrent must find another VPN. When it comes to VPN, fast speed is an extremely important factor to consider. You just want your streaming service to work well without annoying buffering and browsing experience to remain smooth throughout the session. A VPN degrades your web-browsing performance, as your internet connection is taking a more indirect path. So it’s important to try to search for a VPN that offers relatively good speed while using a VPN service. Every VPN needs testing to verify that how it’s performing and the ratio at which speed is changing. If you use Netflix and youtube regularly, you know how frustrating it is to face buffering after every 15 mins, don’t worry! It’s not the case with VyprDNS streaming videos; you will automatically use it when you use VyprVPN. To get an impact of VyprVPN on web browsing, we perform two sets of tests to provide you with the most relevant information possible. Does VyprVPN offers torrenting and P2P downloads? VyprVPN policies does not support torrenting – repeated copyright violations often banned providers from data centers. For most people this might not be a problem so if you are torrentfreak, you should look elsewhere. Or else this is the best VPN if torrenting is not your cup of tea. There are so many VPNs for torrenting in the market. VyprVPN performed very well in the area of performance – speed and reliability, seemed to have a robust, balanced network in my speed tests. Networks are notoriously fussy – speed and performance change rapidly, so best measurements take time. We tried to cover as many variables as we can. Your mileage may vary. In my domestic testing, I found that VyprVPN increased latency by 17.4 percent, relatively par for other products in the test, without changing the download speed. The streak was broken in the upload test, dragged down upload speed by 9.7 percent; that is more than the average. Spotflux has the best score in this test, reduce upload speeds by 0.4 percent. In my international tests, VyprVPN increased latency by 285.7 – that’s the higher end of average. The download test was also fair for VyprVPN – decreased by 24.2 percent. PureVPN has the best score, improved download speeds by 403.4 percent. VyprVPN successfully managed to redeem itself in the upload test but reduce the upload speed by 3.2 percent. There is abundance of ways to measure network performance; I prefer download metric to be particularly significant as we all use the internet to consume digital content. VyprVPN is a VPN for all. It has a strong security and privacy portfolio. With exclusive features like Chameleon protocol VyprVPN DNS, Cyphr and NAT Firewall, we are sold on its ability to provide free and secure internet space to the customers. However, we are not too sure about the no P2P file sharing, no money back guarantee, and a hefty monthly cost. Overall Vypr gets two thumbs up from us as your VPN service provider whether your purpose is to save yourself from unnecessary government surveillance or breaking the fence of geo-restriction in any country. VyprVPN is here to exist and will go a long way. The final consideration is the value – what you get out of money? For $5/month – basic plan VyprVPN has so much to offer. Other best VPNs also has a lot to offer and performed well in testing, Vypr is the least expensive. Get a 3 day free trial and test it to yourself.